Thanks to the efforts of a vigilant witness an Elk Grove man is held at the Sacramento County Jail on theft charges. 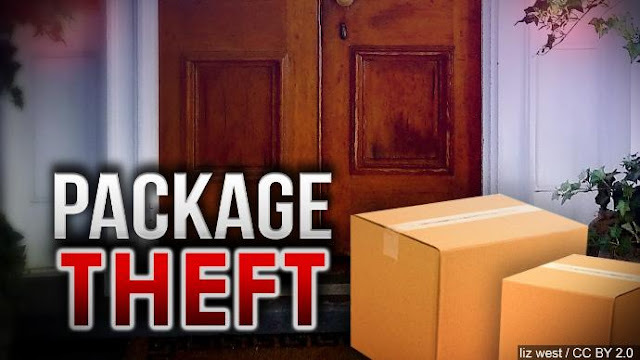 Just after 12 noon on Wednesday, March 27, Brian James Marshall, was observed stealing a package from the doorstep of a residence on the 10100 block of Atkins Drive in the city's East Franklin neighborhood. Marshall entered a vehicle with two other occupants and fled the area. The person witnessing the theft followed, and when Marshall was noticed they were being followed, tossed the stolen package out the window. When the vehicle where Marshall was a passenger stopped, he exited and approached the witness, who was still in their vehicle and brandished a knife. The witness confronted Marshall, who withdrew to the vehicle. Responding Elk Grove Police officers located the vehicle and arrested Marshall. The suspect, who is on probation, is held on $10,000 bail and will be arraigned on Friday, March 29.